Garage door installation in Hazlet, NJ can be a complicated process. Handyman garage doors makes sure this process is easy, simple and quick. We provide support through every step of the way when installing a new garage door. 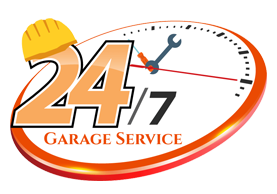 Every garage door installation comes with a free estimate once the services are rendered. The multi-step process includes the estimate, measurements, ordering of the door if it is a special order. Then we start the installation by removing the old door and installing the new door. Finally, we can install any garage door openers or help with added specs such as a safety sensor.